The guys over at the Gear Locker got their hands on the Ring Sling from High Ground Gear. We have provided their full product review below. At SHOT Show this year, I wanted to check out the Plate Carrier from High Ground Gear in person and when I was at their booth, I noticed this very interesting sling on display. This sling was their Ring Sling. After speaking with Mike and exchanging business cards, I went on my way to see what else there was at SHOT. To my surprise, a Ring Sling showed up in the mail a few months later for TGL to review. The Ring Sling itself is made up of a larger bore para-cord, a short shock cord with a non-locking carabiner, and a HK Hook. 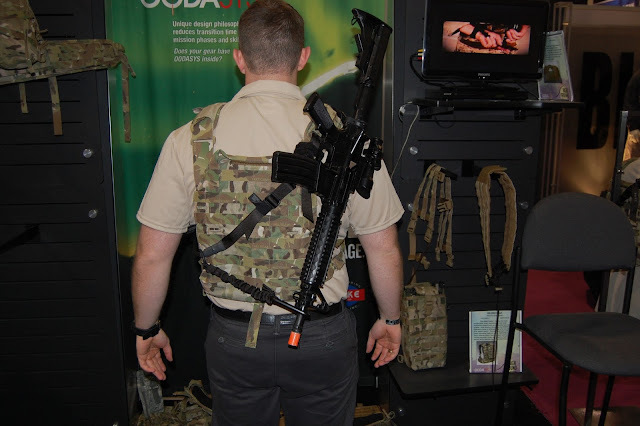 You also have the ability to adjust the sling’s size and HGH allows you to connect the sling to your Plate Carrier by a Velcro attachment point. Putting the sling on, I noticed that the two attachment points moved very smoothly along the sling. Once the M4 was clipped into the HK Hook, I did shooting drills with the M4 on my dominant right shoulder, and I found that transitions to my left shoulder were smooth. As a one point sling, it worked extremely well. Now, I went to see how it operated as a two point sling. I used it in this mode when there were brakes in the training. I took the barrel of the M4 and placed it through the carabiner and shock cord loop. And, I also used only the carabiner to hold the barrel. 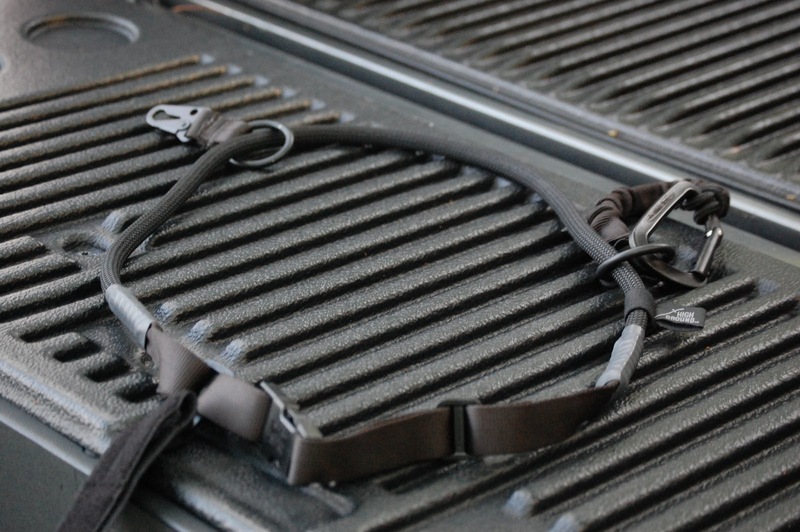 As a two point sling, you have those two mounting options. Both worked extremely well and held the M4 firmly. You can also take your primary weapon and put it behind your back, and then use the carabiner to hold the barrel. This is a great way to hold the weapon while moving, handling a person, or climbing. I liked using that position as I traversed several flights of stairs. And you also have the ability to weave the supplied Velcro tail into your Plate Carrier.